People want convenience and speed in the 21st century. People ignore anything that requires too much effort. Funeral cover used to be difficult to get, even though death is an inevitable event. Now you can get funeral plans at ATMS. It’s as easy as buying groceries. When you go and draw money at the ATM to go, shopping you can quickly buy some funeral cover. Banks are becoming far more user-friendly because of their no-fuss approach to banking. These banks have small branches and ATMs dotted all over the country. Customers can open accounts, loan money and even sign up for insurance. You do all transactions online, and this allows for a paperless way to get all kinds of business done. For a small monthly fee, people can make cash withdrawals, pay accounts, buy electricity and airtime and purchase a funeral policy. There are some banks in South Africa which provide this service such as ABSA, Capitec and FNB. In fact, just at FNB alone, there are about 6 700 FNB ATMs and Slimline devices throughout South Africa. These banks want to ensure their customers have access to convenience. The CEO at FNB, Lee Bromfield, says that being able to buy funeral cover at an ATM is such a logical choice, after all nearly every South African uses an ATM to access a range of services. ATMs are multi-purpose devices, found wherever people are in their daily lives – in cafes, in shopping malls and at petrol stations. Most people can access them without having to get into a car. People want to feel empowered to do what they feel is right for their lives, and getting a funeral plan through an ATM, instead of queuing at a financial services provider is one way to do this. 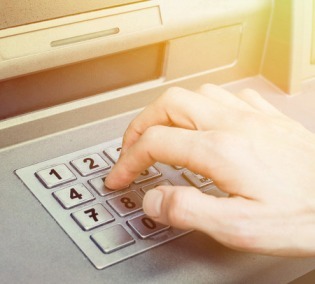 The cover is extensive at the ATMs – it can be anything from R10 000 up to R60 000. With FNB, the funeral cover is truly affordable, and you can buy a burial policy for less than R50 a month. Just like with the other banks, you can take funeral cover for yourself or extend the plan to your other family members as well. These means you can include your parents and parents-in-law as well. Your parents need to be below the age of 75 for this. The people of South Africa know that when they buy funeral cover from an ATM, they are investing in products and services from a reliable, trustworthy source. First National Bank, or FNB, is the biggest financial institution in South Africa, and their services extend into insurance as well. There are so many benefits to buying funeral cover from a reliable source. And you can double your accidental death benefit. For instance, instead of getting R60 000 you’ll get R120 000. With so many benefits and so much convenience, FNB and others banks have made it possible that for this one final event in your life, you can go out in style.